How Much Compensation Can I Claim For A Work-Related Illness? Work-related illnesses are a pressing issue facing the United Kingdom today. According to the Health and Safety Executive over 1.3 million people suffered from an illness related to their work during the period of 2015-2016. If you are one of these people, you should know that you are not alone. More importantly, you need to know that there are actions that you can take. If your work related illness developed as result of negligence on the behalf of your employer, then you could have the potential to make a valid work-related illness claim. If you believe there to be even the most remote possibility that you could have a valid work-related illness claim, then you should read this free guide provided by our company. A guide to claiming for a work-related illness. Claiming for illness caused by work related stress. Claiming for back pain caused by work. Claiming for musculoskeletal disorders (MSDS) caused by work. Claiming for upper limb disorders caused by work. Other common illnesses caused by work. Illness at work facts and statistics. Assessing the severity of a work-related illness. The long-term effects of work-related illness. What to do if you have suffered a work-related illness. What can be claimed for after a work-related illness? No win no fee work related illness claims. How much can I claim for a work-related illness? How to start a work-related illness claim. Why choose us as your claims service for a work-related illness claim? This guide is provided to you by our company primarily to give you the ability to make an informed decision regarding your potential work-related illness claim. We care about you receiving the justice that you deserve after suffering from a work-related illness, and so we want you to make the best decision and get the worker’s compensation work related illness you need. The guide will cover a range of information relevant to your work-related illness claim, including the details of the process itself and the general context surrounding work-related illnesses. Importantly, the guide will also advise you on the best ways to go about your claim, highlighting how vital a Claims Service is and how they assist in maximising your chances of receiving the compensation that you deserve. If, however, you find yourself with further questions after reading through this guide then you should contact our company at 0800 073 8804 or through the contact form and web chat provided on this page. The most important aspect of your claim, and certainly the first step that you should take if you are considering making a work-related illness claim, is determining what exactly a work-related illness is. While many people believe a ‘work-related illness’ to be a tightly defined legal term, it actually has considerably broad applications. Work-related illness covers any medical condition or disorder, pre-existing or otherwise, which is either caused or made worse through an event at a place of employment. As you should be able to see, this covers a broad range of different issues that may be afflicting you and includes medical conditions that are only aggravated by a workplace accident rather than caused by it. By far the most common work-related illness in the United Kingdom is work related stress. According to the Health and Safety Executive over 448,000 people were affected by work-related stress over 2015/2016, so it is clearly a pressing issue. The reasons why work-related stress is such a prevalent illness caused by work is twofold. Firstly, stress is in effect a mental condition. This means that it is able to affect people working in any possible job, regardless of whether they are in a career with risk factors for illness. Secondly, work-related stress can easily exacerbate pre-existing illnesses and cause further conditions that affect people, such as anxiety and insomnia. If you are making a work-related illness claim for work-related stress, then it may be difficult to determine responsibility, and thereby financial liability, for your illness. If your stress has come about through voluntary overtime, then your employer may not be liable at all. However, typically work-related stress falls under the duty of care of your employer, and as such, they are normally considered liable if they ignored health and safety regulations regarding such matters. Another common illness that arises as result of work in the UK is back pain, particularly chronic back pain that has developed over a number of years. The reasons why back pain caused by work is common in the UK are surprisingly simple, firstly being that it affects both manual and office workers. While manual workers are more commonly affected, particularly working within the construction industry, office workers also develop back pain through poor posture or long hours. Secondly, back pain is an illness that can be easily aggravated by other conditions, especially work-related stress. Stress inhibits the body’s natural healing abilities, and as such muscle and joint pain is more prominent in people who are also suffering from high levels of stress as result of their jobs. If your work-related illness claim is for back pain caused by work, then liability can typically be easily established. As part of the regulations set out and enforced by the Health and Safety Executive, your employer has a duty of care to ensure your health and physical competence to complete any task they set. As result, they are normally considered liable for any work-related illness you suffer from. A slightly less common work-related illness in the UK is a musculoskeletal disorder. These disorders are common in all areas of employment but are particularly commonly associated with manual labour. Musculoskeletal disorders include all upper limb and back disorders, and are typically caused by repeated lifting of heavy and awkward objects, in manual labour, or holding your body in awkward positions for extended periods of time, in non-manual labour. These disorders are common as result of the ease of which they can develop over a long period of time, worsening incrementally and thereby easily developing untreated. Similarly to work-related illness claims for back pain caused by work, the liability of these claims can be typically easily established as your employer. A less-common, but still proliferate, work-related illness in the UK is an upper limb disorder. This is particularly common within manual labour but do still occur with less frequency in non-manual labour. These disorders typically occur as the result of repetitive muscle movements that cause a strain on the muscles or joints of your upper limbs. Issues surrounding shoulders and elbows are most common with manual workers, especially heavy industry and construction workers, while finger and wrist issues are common with office workers. As in most cases of work-related illness, your employer is typically considered liable for such illnesses as result of their duty of care for their employees. work related hearing loss – results from noises exceeding 85 decibels. This illness particularly affects workers within the construction industry. Dermatitis/skin inflammation – results from exposure, either acute or prolonged, to an irritant. This illness particularly affects workers in the domestic industry, particularly cleaners. Asthma/difficulties breathing – results again from exposure, typically prolonged, to material that sensitises the lungs and respiratory systems, such as powder or cleaning chemicals. This illness particularly affects workers within the food industry. As you can see here, there is a wide range of different common illnesses caused by a work accident, affecting many different parts of your physical and mental health. However, there are many more. Any illness that you suffer as the result of your employment environment can be claimed for, so do not hesitate to make your work-related illness claim if you cannot find your particular situation described in this guide. If you are involved in a work-related illness claim, you may be interested in the statistical context of your illness. These figures can assure people such as yourself that their suffering and plight is not isolated from the world; that others have experienced what you are going through and come out the other side. Over 1.3 million people suffered from a work-related illness during the period 2015/2016, of whom 13,000 involved deaths as the result of lung illnesses/cancer. Approximately 500,000 of these people suffered from a mental health issue, including stress, depression, anxiety. Approximately 500,000 of these people suffered from a musculoskeletal disorder. When you are considering making your work-related illness claim, our company has learnt that one of the most important aspects individuals typically prioritise is the amount of compensation that you could receive. However, the severity of your illness suffered will primarily drive this compensation amount. For example, if you are claiming compensation for work-related stress then the stress at work compensation payouts you could be offered depend heavily upon the severity of your stress and effect that it has had on you. This is why our company places much emphasis on establishing the severity of your illness, both colloquially and professionally through a local medical assessment that we can arrange for you. If you want the best chance possible of receiving the compensation that you deserve, then you will need to consider the severity of your illness and receive a professional assessment. Minor severity – is generally concluded if the illness you suffer from has a minimal effect on you over a relatively short period of time, such as a week. Moderate severity – is generally concluded if the illness you suffer from has a moderate effect on you, impacting significantly on your life, over a longer period of time, such as a number of months or a year. Severe severity – is generally concluded if the illness you suffer from has a radical effect on you over a long or short period of time, potentially including life-long and terminal illnesses. While this does give you an accurate if general guide to how severity is determined, it by no means should ever replace a medical assessment. Not only is receiving a professional medical assessment vital to the success of your claim, as it will be more appropriate as part of your claim, but also to your health if some aspect of your illness has been overlooked. As is previously stated, the long-term effects of your work-related illness largely drive the amount of compensation that you could receive as a result of your claim. This is why recognising the effects is so important in making an accurate estimation regarding your potential compensation amount. Physical effects – include the physical pain and suffering as result of your illness, including any surgery or treatment you may have had to go through in order to treat said illness. 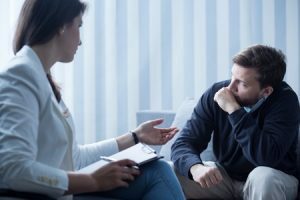 Mental effects – include the emotional pain and suffering as result of your illness, particularly if the diagnosis affects your future significantly such as relating to death or impotence/sterility. Life effects – include the effect of your illness on your life, such as any negative financial consequences or loss of future prospects. While it is important to recognise the effects yourself, if possible you should have them professionally assessed by doctors, psychologists and accountants to ensure that anything you claim for will be successful. If you have suffered from a work-related illness, the process of what to do can seem to be confusing and difficult, especially if complicated by casual advice given by others. However, the process is relatively simple and made simpler still through the advice given in this guide. Your first priority should be to attend to any medical requirements caused by an illness, either calling the Emergency Services or taking yourself into hospital depending upon what state you find yourself in and what illness you have suffered. You will need evidence in support of the accident. This could include witness statements or camera footage if available, but preferably the Accident Record Book should provide substantial evidence in such cases where the accident was properly recorded. You will need evidence in support of your employer’s negligence. The idea of negligence and responsibility is key to your work illness compensation claim and could include a lack or training or failure to adhere to other health and safety standards. You will need evidence in support of your illness’ severity. As previously mentioned in this guide, evidence of this nature will drive your compensation amount and typically takes that form of a medical assessment. Once you have collected all of this evidence, you should next begin to investigate your claim further through a Claims Service such as our company. We are even able to assist you in collecting evidence, once you have chosen our services. Most people who make illness compensation claims vastly underestimate the number of different expenses that can be claimed, normally focussing solely on medical costs. Thankfully, you have the assistance of this guide which is happy to inform you that you can claim compensation for a whole manner of different costs and damages related to your injury. General damages – including primary damages such as emotional pain and suffering, loss of reputation, or even strain placed on relationships that are difficult to quantify. Special damages – including damages such as direct loss of earnings, the cost of long-term treatment to your life, and damage to your property that are relatively easy to quantify. Medical costs – including costs such as medical tests and treatments received from a private health care service such as Virgin Health or not covered by the NHS. Travel costs – including the cost to travel between your home and hospital appointments and potentially increased travel costs from needing to take public or private transport in favour of walking. As you can see, there are a number of different effects of your work-related illness that you are able to claim compensation for. Your stress at work claim amount does not depend solely on how much money it may have cost you, instead of being the amalgamation of many different costs and damages suffered as result of your stress. However, it is important to remember that how much compensation you are likely to receive is driven by the severity of your illness, not the costs and damages incurred as result. Common Types of Work Related Illness and ill health occupational disease. Part of the service that our company would provide as your Claims Service is our commitment to minimising your stress and financial strain throughout the claims process. This primarily takes form in our ‘No Win No Fee’ Policy. This policy, also known as a Conditional Fee Agreement, ensures that we charge you no legal fees previous to the conclusion of your work-related illness claims case, and even then, only if you receive compensation as result of your claim. If your claim is rejected, for any reason, then we will not charge you legal fees for the services that we have provided to you. If you are considering making a work-related illness compensation claim, you may be wondering: “How much can I claim for work-related stress and other illnesses and disorders? Well, here we can provide you with an answer. As previously stated in this guide, we know that one of the most pressing concerns about your work-related illness claim will be the amount of compensation that you could receive. However, advice in this area of your claim is difficult as result of the inherently individualistic nature of your claim and the different circumstances that could potentially affect it. Eye Damage Severe £18,000 to £30,000 Compensation for permanent damage to eyesight due to work-related causes such as repetitive eye strain. Finger Injury Minor to Severe Up to £14,250 Compensation for long-term damage to fingers, such as work-related repetitive strain injury. Wrist Injury Serious £9,575 to £18,625 Compensation for long-term damage to wrist, such as work-related repetitive strain injury. Hand Injury Serious £11,000 to £22,050 Compensation for long-term damage to hand, such as work-related repetitive strain injury. Elbow Injury Moderate £11,900 to £24,350 Compensation for long-term damage to the elbow, such as work-related repetitive strain injury. Arm Injury Serious £29,800 to £45,500 Compensation for long-term damage to the arm, such as work-related repetitive strain injury. Shoulder Injury Serious £9,700 to £14,600 Compensation for long-term damage to the shoulder, such as work-related repetitive strain injury. Neck Injury Moderate £6,000 to £29,250 Compensation for long-term damage to the neck, such as work-related repetitive strain injury. As you can see from this list, the type and severity of your illness are essential to your compensation claim. Even within a type of illness, such as the compensation for work-related stress and depression, the amount of compensation varies depending upon severity. However, again, this provides only a general estimation concerning your claim. If you would like a more accurate estimate of how much compensation you could receive as a result of this claim, please contact our company on 0800 073 8804 to receive a free consultation session detailing exactly this. When you begin the process of your work-related illness claim, there is no need to fear what the future may bring. With the professional support and advice that our company provides, making a work-related illness claim could not be simpler. The most difficult stage of starting your work-related illness claim is the first, namely gathering evidence in support of your claim. This evidence, as previously explored by this guide, provides stability for your claim and could include almost anything. You should next begin using the services of a Claims Service, particularly our company. You can do this by calling us or filling in our contact form, or using the web chat function below. After this, you will receive a free consultation session regarding your work-related illness claim where we provide an accurate and honest prediction of how your claim could go in court. If after this consultation you choose us as your Claims Service, we can begin assisting you with your claim in earnest. This would include further evidence gathering, with our professional assistance, and simply and calmly explaining each step in the process of your claim with you. When you are making your work-related illness claim, it is vital that you use the services provided by a Claims Service; we believe that our company is best placed to provide you with such services. Our company can provide you with the support and assistance that you will need throughout the claims process; our team of legal experts will use their collective years of experience in the field of work illness claims to ensure that you receive the compensation that you deserve. However, more importantly than that, we are a strong, ethical company whose commitment to justice stands throughout our ethos. Our “No Win No Fee” policy is but one example of this commitment, and we will do our best to ensure you receive the compensation and justice that you deserve. We can help you get what you deserve, regardless of whether or not you believe that you deserve it or have any chance of success. You can be successful in your claim, you just need the support that we are happy to give you. Contact us today by calling 0800 073 8804, filling in the contact form or using the web chat function on this page and we can begin to help. Have you had a accident at work? find out how much compensation you can claim and call us for free advice. Around 13,000 deaths each year from occupational lung disease and cancer have been estimated to caused by past exposures at work or in the workplace, primarily to chemicals and dusts. If you or a family member has been exposed to asbestos and as a result you have been diagnosed with mesothelioma cancer contact us today for free legal advice.